+Illustrated cutaway 3-D drawings of important sights. +Floor plans and guided visitor information for major museums. +Free, color pull-out map (print edition) marked with sights from the guide, a selected sight and street index, public transit information, practical information on getting around, and a chart for measuring walking distances. +Guided walking tours, local drink and dining specialties to try, things to do, and places to eat, drink, and shop by area. +Area maps marked with sights. +Detailed city maps include street finder indexes for easy navigation. +Insights into history and culture to help you understand the stories behind the sights. +Hotel and restaurant listings highlight DK Choice special recommendations. 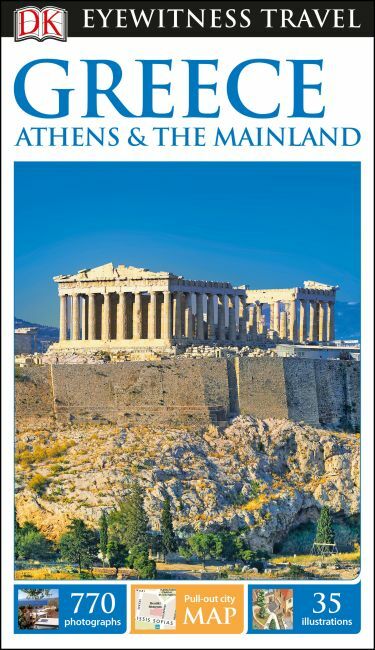 With hundreds of full-color photographs, hand-drawn illustrations, and custom maps that illuminate every page, DK Eyewitness Travel Guide: Greece, Athens & the Mainlandtruly shows you this destination as no one else can.